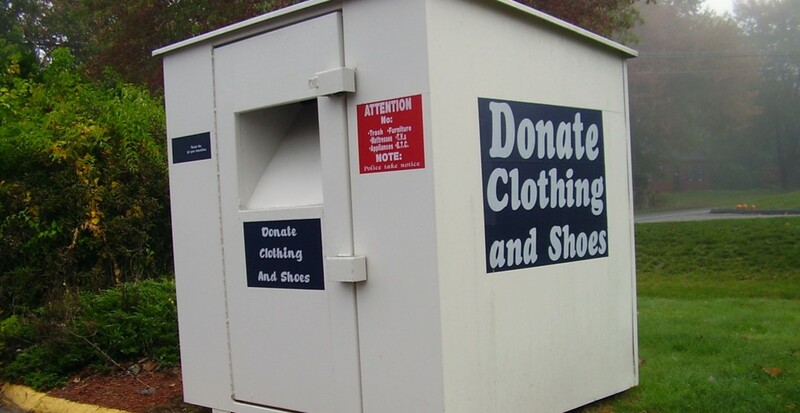 The City of Vancouver and District of West Vancouver have committed to removing clothing donation bins, following the deaths of two individuals who died after getting stuck in the bins. The District of West Vancouver says its decision comes after a 34-year-old Vancouver man died in a clothing donation bin last week. West Vancouver Police say the “sudden death” happened on the morning of December 30, 2018, near the entry of the popular Ambleside Park. An off-duty physician walking in the area around 8:30 am found the man unresponsive and wedged into the bin. West Vancouver has listed alternative options for donating on its website. The City of Vancouver made a similar announcement on January 3, stating that its decision to remove all donation bins from street right-of-ways (SROW) came after a woman got trapped inside a bin in July 2018 and died. “To date, of the over 100 bins previously located on SROW, about 90 per cent have been removed. Any remaining bins will be removed in early 2019,” stated the City in a release. Bins have also been removed at West Point Grey Community Centre, Kensington Community Centre, Vancouver Aquatic Centre, and from inside all Park Board facilities. The Vancouver School Board has requested the removal of bins on all of its properties. The City says that donation bins on private properties will be reviewed in early 2019. Those looking to drop off donations can do so at supervised areas located at Vancouver’s Zero Waste Centre (8588 Yukon Street) and Residential Drop-off Area (5400 72nd Avenue in Delta). For more information about donating, visit the City of Vancouver’s website.